Hotel was an experience in itself, with an amazing lobby and animal life like the birds and penguin. Excellent restaurants with very good service, and great food. A bit pricey but worth it. 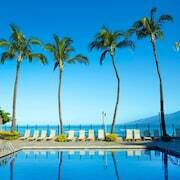 Should stay at least 3 nights in Maui. Location was amazing! We had everything we needed on site. 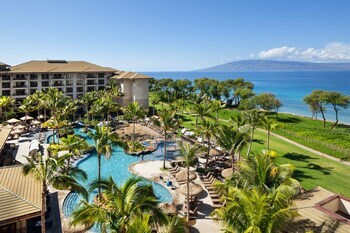 Situated in Lahaina, this beach hotel is within a 10-minute walk of Kaanapali Beach and Whalers Village. Black Rock is 0.7 mi (1.1 km) away. Great location. Glad for air conditioning, great location, overall content. Liked the views and access to black rock, didnt like the beach and beach access to resort. You don't have to get rich from the lottery or be sitting on a trust fund to explore the world. 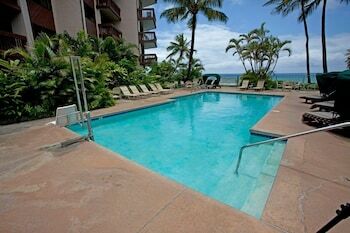 It's time you made your cheaptastic way through Lahaina! 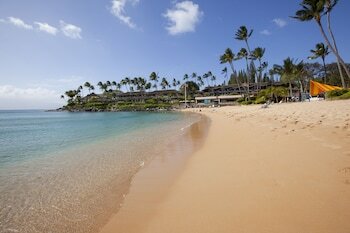 It is approximately 80 miles east of Hawaii's capital, Honolulu. 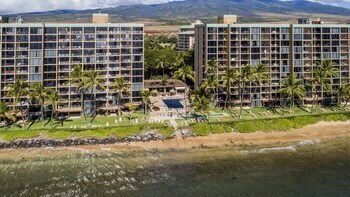 Lahaina is also 10 miles southwest of Wailuku. 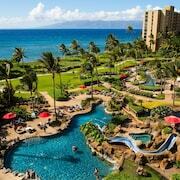 It's an area of Maui that approximately 12,000 people reside in. Check to see if there are any one-off happenings at the Wo Hing Museum and the Stuck in Irons House. These establishments don't charge entry fees, so you can enrich your mind while protecting your bank balance. Culture and art only live on through open experiences and dialogues. 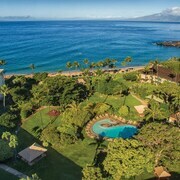 The very heart of this ideal is the foundation of places like the Costantino Art Gallery, the Costantino Studio and the Maui Myth and Magic Theater, which have a variety of free or reasonably priced events that are available to everyone. Travel back in time and explore Brick Palace. This time-worn landmark is an excellent place to experience local history without having to fork over pricey entrance fees. Holy Innocents Church and Lahaina United Methodist Church are places of worship where you can indulge in a spot of self-reflection and get an insight into the region's religious leanings. Looking for shapes in the clouds while you're lying by the sea is an awesome way to spend an afternoon. 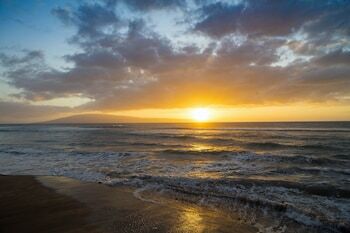 Kaanapali Beach, Black Rock, Launiupoko Beach Park and Drums of the Pacific Lu au are some leading coastal stretches to pick from. Take note, at CheapTickets cheap really doesn't mean nasty. Though we're passionately budget conscious, we will never make sacrifices on quality or comfort. Many think that traveling cheap means sacrificing choices, but with us it's the complete opposite. With 500 partner airlines and around 500,000 properties across the globe, you'll have all the choice in the world. And when you combine your bookings on flights and hotels, you could save up to $481. Let your inner penny-pincher book without doubts with the CheapTickets Price Guarantee. Here's the info — if within 48 hours you've come across your vacation package at a cheaper rate, we will match it and refund you the difference. Thrifty is our middle name! Eager to save on your next CheapTickets hotel? With the help of our rewards program, it's simple! All you have to do is book a flight with us and you'll be rewarded. How easy is CheapCash? Simply sign up free of charge or log in, join the program, and you'll be able to access super-thrifty bonus offers and perks — and of course you'll gain savings on your eligible bookings. It's minimal effort for maximum reward! Okay, cheapster. 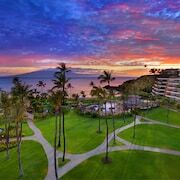 We know you want to squeeze the most out of your stay for the tiniest amount of moolah, so why not suss out car rentals while you're in Lahaina? It's a top way to avoid spending a fortune on pricey cabs if you're going to get out and about a lot. 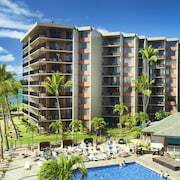 If you are planning to get as far away from the airport as possible, rent a vehicle from the West Maui Airport area. Make your way to Budget and Avis. Make your way to Hertz and you'll be cruising around the busy streets in a jiffy. 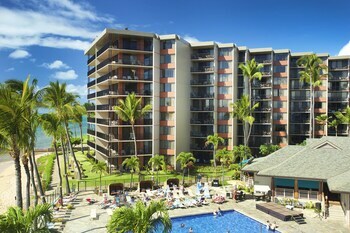 They are located at 200 Nohea Kai Drive, 3 miles from the middle of the city. 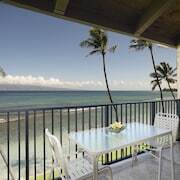 CheapTickets lists 49 hotels in Lahaina. Lock in one of the best options so you can start planning the rest of your budget-friendly adventure. 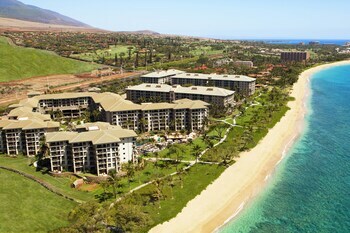 The Puunoa Beach Estates and Kaanapali Alii are a few of the recommended hotels on the island. Check them out and take your pick!